Runaway Prius 911 Tape: "I'm Over 90!" The dramatic 911 emergency call from James Sikes, the driver of yesterday's runaway Toyota Prius, indicates how frightened he was and how aware CHP dispatchers are of the procedure needed to stop a Prius. Audio below the jump. As you'll remember, Sikes's Prius went out of control yesterday, accelerating up to 94 mph on a section of San Diego's I-8 interstate. Sikes called the California Highway Patrol when he couldn't make his car slow down; a CHP officer was summoned to the scene and used his patrol car's PA system to coach Sikes to a halt. 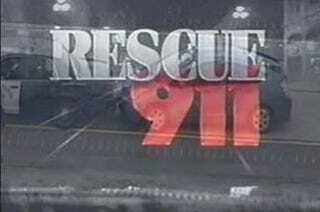 Most of the above events can be heard on the 911 tape below. Importantly, the dispatcher also asks if the Toyota is "in cruise control." Most of what you hear on the tape seems to have occurred in the last three minutes of the chase.